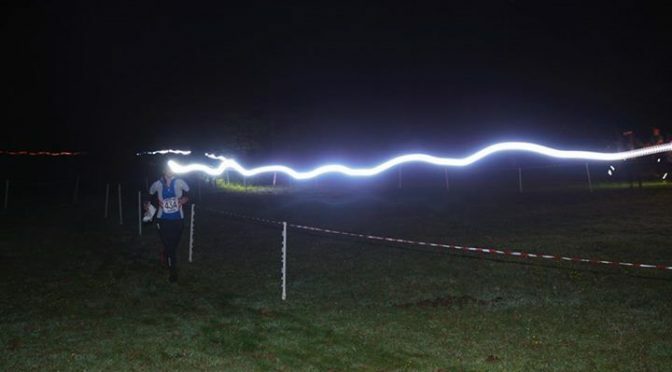 The final race of South London Orienteers’ five event 2017-18 Night-O Series is a mass start race in Richmond Park, south-west London, on Tuesday 20 March 2018. The race centre will be The Lass O’Richmond on Queen’s Road, Richmond. The Night-O series is a public race – all are welcome. Please RSVP to the event via Facebook (link above) to let us know you are coming – you can also see who else is coming and post questions. Letting us know you are coming helps us to have the correct number of the unique maps for this event printed. The race will be based at The Lass O’Richmond on Queen’s Road, London TW10 6JJ. The pub serves great food and drink, and there will be the usual opportunity to revisit route choices with other runners. The entry fee is £3 for SLOW members, students and juniors; £5 for others. The race will use SIAC contactless punching with SIAC cards available for free for those who do not have their own. A small number of headlamps are also available to borrow free of charge but you need to e-mail the organiser in advance to reserve one. * Gaffled courses are where there are several loops starting from the same place. Each competitor runs these same loops but in a different order to other competitors, so competitors can’t simply follow someone else who might be have a different order.